The ''original'' light gauge shrink film conforms to irregularly shaped objects and replaces 60 gauge polyolefin film. 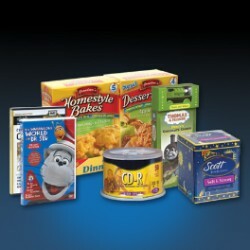 Shrink films are flexible packaging materials that can work on a wide array of products for shipping. These are different from traditional boxes and Kraft bubble mailer boxes since the 'film' will be used to make a complete and tight cover on the item. To complete the packaging, heat will be applied to the shrink film before it will shrink and adapts to the shape of the item. The light gauge shrink film is a highly functional and flexible material and just one of the many shipping and packaging materials and accessories that we offer here at eSupplyStore.com. At eSupplyStore.com, we offer a wide selection of discount shipping supplies at low prices so you can complete your shipping task in a cost-effective manner. Our light gauge shrink film is available in different sizes to meet different shipping tasks and requirements. You can choose from 10'' x 45 Gauge x 5830' Intertape - Exlfilm-Plus LTG Shrink Film, 12'' x 45 Gauge x 5830' Intertape - Exlfilm-Plus LTG Shrink Film, 14'' x 45 Gauge x 5830' Intertape - Exlfilm-Plus LTG Shrink Film, 16'' x 45 Gauge x 5830' Intertape - Exlfilm-Plus LTG Shrink Film and 18'' x 45 Gauge x 5830' Intertape - Exlfilm-Plus LTG Shrink Film. Our shrink film is 25 percent thinner, provides consistent sealing and complies with FDA standards. Use this packaging material on different items, from books, CDs and DVDs to food and beverages. When you want consistent sealing and better presentation for your items, then work with us to order your light gauge shrink film. Call us at 866-437-8775 Mon-Fri 8am-4pm Central to simplify your shipping tasks and increase customers satisfaction!